Sevdaliza is an Iranian-Dutch singer/songwriter who started her career as a professional basketball player and made the ultimate crossover to embark on a music career. Well known for her visually captivating music videos, Sevdaliza has mesmerized audiences across the globe. Her latest release and first full-length album ISON has stuck closely to her previous work of trip-hop/electronic EP releases (The Suspended Kid and Children of Silk) with another hyper-realistic and fascinating video to accompany her full-length album. The visual representation of the emotional depths of Sevdaliza was created by our own Hirad Sab, an experimental and digital artist currently based in Salt Lake City. The visual album is striking and consists of various contorted images of a hyperreal sculpture of the singer crafted by artist Sarah Sitkin. With each track, the sculpture transforms into a new modified image of Sevdaliza—sometimes featuring a stabilized shot of the sculpture up close and other times a melting, morphing image that brings the art to life in an electronic way. Each scene is like a strained mirage of the artist reflecting on the music that seems to flux and shift with the visuals. The visual album captivates with its ability to take a solidified form and alter it into something unrecognizable and not human. The theme of fluid transformation is brilliantly meshed with both the audio and visuals of the album. ISON progresses like the song of a mystical harpy, luring in listeners with a strange beauty, only to be thrown about against the heavy rocks of percussion and bass and carried away on the surf of electronic synths. Her vocals somehow balance between a fine line of gentle breathiness and deep melodic cries. This album is a fluid masterpiece and well worth the wait since she dropped her single, “Human,” last fall. 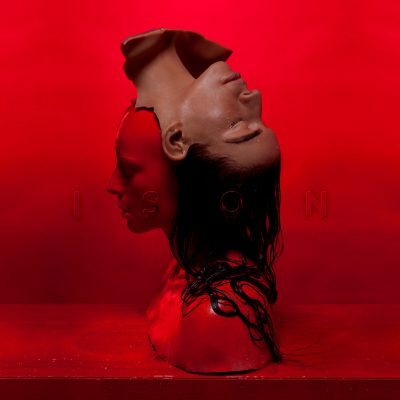 In this 16-track album, Sevdaliza’s vocals take center stage to the instrumentation featured. Beautiful piano runs and chords float throughout and trip-hop-inspired percussions move the ethereal vocals of Sevdaliza from track to track. The album opens like the starting of a play with “Shahmaran,” an eerie ode to the darkness and fear of uncertainty that is life. The track is slow and flowing, like the ebb of a tide, accompanied by Sevdaliza’s warbling and wavering vocals. It’s otherworldly yet oddly familiar. A standout track is “Hubris” with its slow and consistent industrial vibe and glitchy percussion accompanying her quavering vibrato and Radiohead-esque piano chord progressions. At certain points, her spoken-word moments are reminiscent of Queen Bey’s Lemonade, as she vocalizes certain self-reflective revelations to the listener, carrying a profound effect. Although her sound is esoteric, the themes that consistently materialize in the album are refreshingly human emotions, and I found it to be a calming and groundbreaking album for the new wave of international electronic artists that have washed up on our musical shores.